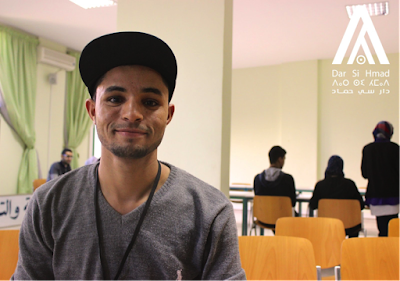 This is Youssef Ouamamou, a 22-year-old from Ouarzazate in southwest Morocco. Youssef is studying English at Ibn Zohr University, where he is particularly interested in linguistics and journalism. When we asked Youssef why he wanted to participate in our US-MEPI RISE program, he said "I applied to RISE because as its name suggests, I wanted to rise to the challenge of improving myself and to prepare for the real world after university. My favorite thing about RISE has been meeting so many different types of people with different goals and dreams. I have realized no matter our differences, we are all human beings that have the same ability to achieve whatever we want for ourselves. I am so glad to participate in a program like RISE because it is helping me plan for the future and see that if I take personal initiative, I can be all that I want to be."